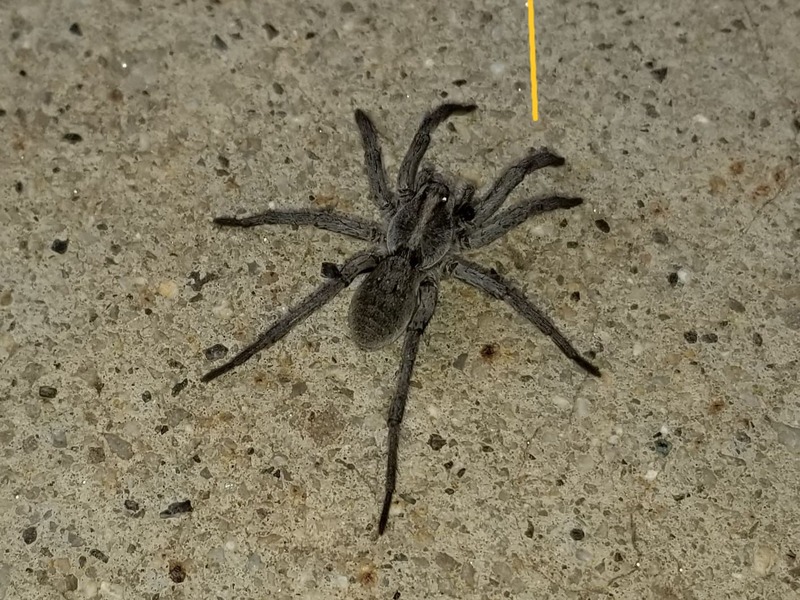 I think this is a wolf spider but it moved like a tarantula. It was large. Hello! I believe that spider is either a hogna coloradensis or a hogna antelucana. Both are in the wolf spider family. Many wolf spiders can get gigantic if given the right circumstances to grow and live in. The university is on the mountain and my guess that’s where the spider came from. I have seen spiders such as this one get to the size of my hand up here, almost all wolf spiders!